Lift maintenance is one of the most important operation departments in the ski industry. The men in black, referred to because of their typically all black uniforms, are responsible for some of the largest projects on the mountain. From maintaining the lifts so we can get up the mountain safely, to keeping in compliance with state and federal inspection requirements, these men and women work hard year round to keep us skiing and snowboarding the best terrain in the world. Lift maintenance employees get to the resort before many other operation departments. They are in charge of opening the lifts so that ski patrol and the rest of the general public can access the mountains that lays home to them. They often are some of the first on the mountain and last off. With the increasing demand for ski operations to provide faster lifts and more access to different parts of the mountain, lift maintenance departments across the country have been working overtime. They have seen increasing responsibilities because the complexity of lifts have increased simultaneously to the demand for higher capacity ski lifts. Lift maintenance is not only responsible for starting and running the lifts but provides electrical, mechanical, and electronic work to all the lifts year round. 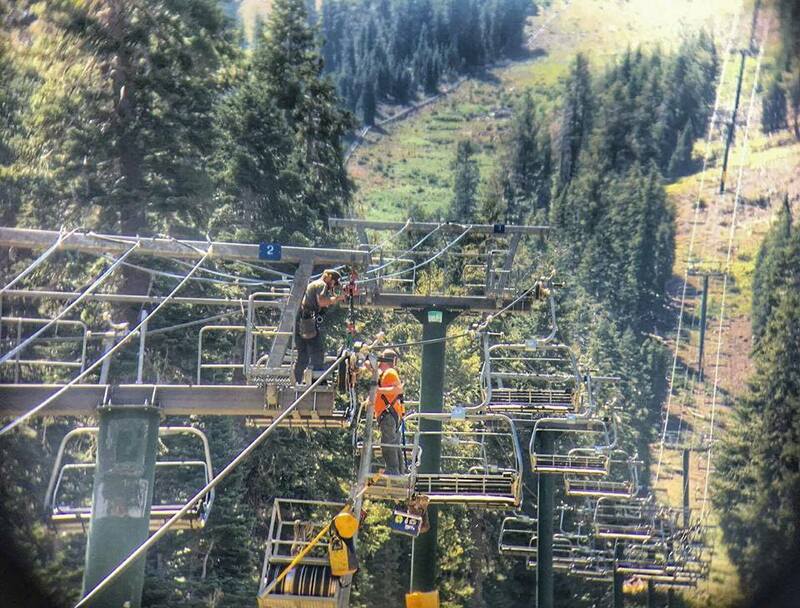 So what does the daily life of a ski lift maintenance position look like? Well, to get the answer to this question we interviewed Peter Gail, a lift mechanic at Squaw Valley | Alpine Meadows. What do lift mechanics do during the winter season? In the winter months we wake up as early as 4 in the morning to get to the mountain as early as 5 in the morning. Sometimes we even stay overnight to make sure the lifts are running for the following day. We ride snowmobiles to the top of the mountain, divide into teams, and begin to open lifts. We make sure the lifts are safe to open and are running properly for the general public. During operating hours we make sure that all the lifts are running safely and keep an eye out for mechanical and electrical problems with the lifts. We sometimes get calls from the lift operators for problems with the lifts. Mainly to check if the wind conditions make the lifts unsafe, but sometimes other problems involving communication or mechanical problems. If there is a problem with the lift we are often under time constraints to get the lift running again. At the end of the day we close the lifts and even help ski patrol with the final sweep on lower mountain making sure everyone is off the mountain. We also aid ski patrol with medical transports with the ski cats. If the injury is significant, we help the injured person get down the mountain and set up the landing zone for the helicopter to evacuate the injured person. What do lift mechanics do during the summer? During the summer months we are focused on completing state inspection requirements to make sure the lifts are safe for the next ski season. This requires us to complete a lot of general maintenance and is a part of the job a lot of the general public doesn’t see. We are required to take off 20% of the chairs every year and make sure they are safe for the next year. We do this by magnetically testing each chair for cracks within the metal. We then fix or replace any chairs that are damaged. We test all the emergency lift features, replace and test the brakes, replace and test the cables, and change fluids that are essential for making the lifts run smoothly. Lift maintenance also goes through evacuation training similarly to ski patrol. Every year we go through a training for emergency evacuations if the lifts were to breakdown and if people were stuck on the lift. What encouraged you to become a lift mechanic? I enjoy fixing things and most importantly love the mountain lifestyle and snow. I have the best office view. I also enjoy when we fix a lift how excited people get when we get it running. When the public see’s us pull up in our black uniforms people often cheer because they know that we are going to get the lift running again. Its a good feeling to get people back on the slopes. How has the job been challenging? As beautiful as the environment can be, it also can be a tough aspect of working on the mountain. Heavy snow days can cause conditions that are hard to work in and often create more work for us. Wind, rain, or snow we have to make sure the lifts are safe and running properly. What parts of the job do you enjoy? 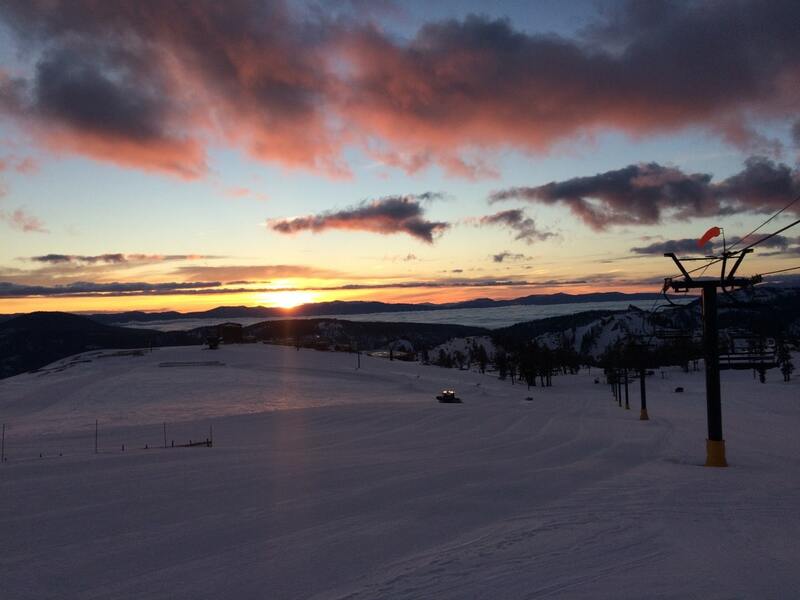 I get to ski and snowboard everyday during the winter and get to see some of the most amazing sunrises I have ever seen. Its the best office view in the world. I also love the fast paced environment and the critical thinking it takes to fix some of the problems we face. Without ski mechanics to keep the lifts running, you wouldn’t have a ski resort… you would just have backcountry. 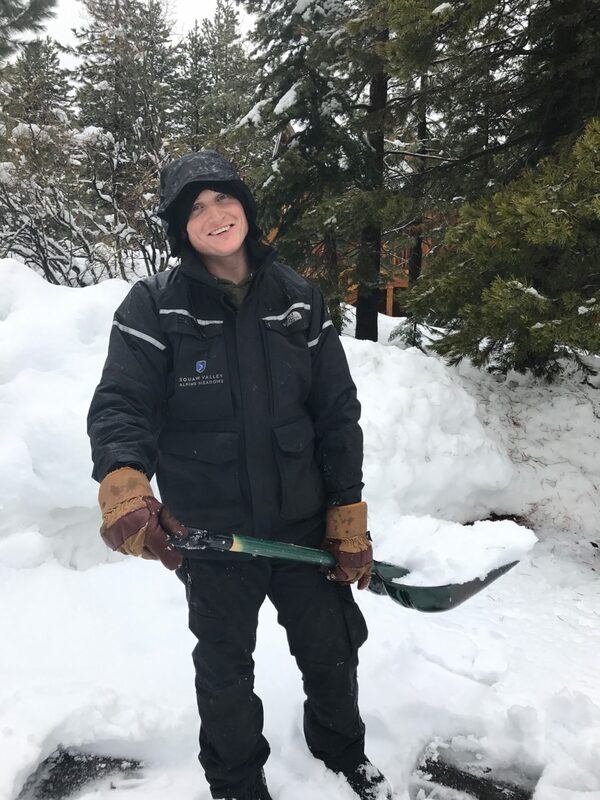 I enjoy the fact that we are helping people have easy access to some of the best terrain in the world here at Squaw Valley. It is important for the ski industry to have reliable and safe ski lifts and this comes with a deep respect for the men and women who work on them. We wanted to thank the lift mechanics around the world for keeping the mountain running and safe. Thank you for all that you do.